Like a ballet, this harmonious dance of the trees that make up the forest is a tribute to those majestic and impassive vegetable beings to whom, according to Baudelaire, Man willingly lends his passions, his desires and his melancholy. 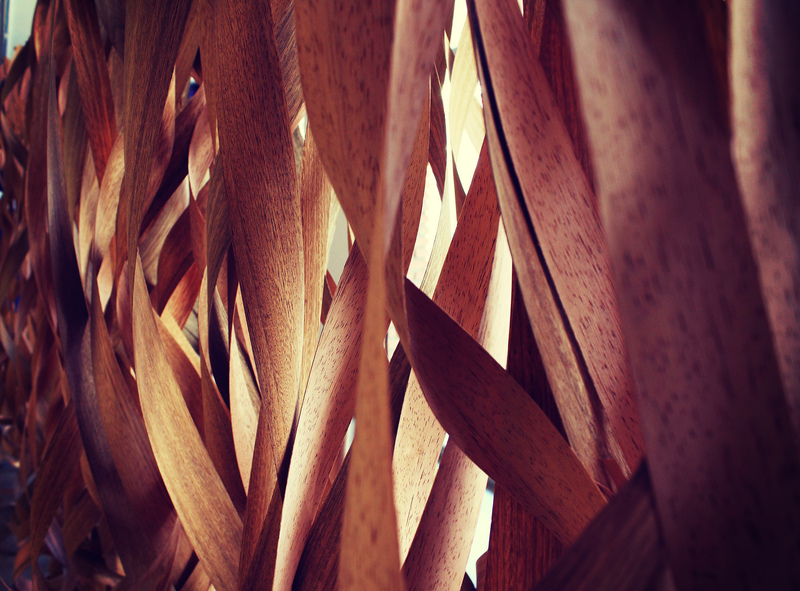 The ribbons of wood that make up the installation emulate those individuals who, just out of the ground, set out to conquer new heights in their search for light and emerge triumphant from the darkness of the underworld. The brightness of the work refers to the victory of light over darkness that has made the tree a model of perfection and harmony. By their immobility they knew how to defy time and master it. Bearers of the message of nature, they are the refuge and habitat of a multitude of species of insects, plants and animals. True alchemists, they are able to temper climates and rain. They bring wisdom, peace and spirituality, embody greatness, life and knowledge, and are therefore a way for Jung to express the inexpressible. The Forest Dance is nothing but a joyful celebration of these complex, enigmatic, familiar beings and the strong connection that unites us. This same connection made Victor Hugo say “Trees of the forest, you know my soul!”.